Dwad and duad are short for dwadasamsa. A dwad is 1/12 of a zodiacal sign, that is, 2½ degrees of arc. Dwad ideas were developed from a notion that if the large signs of the zodiak are found to express different qualities one way or another, than the twelve mini signs put into the twelve signs themselves, would also "do the trick." - "Boxes within boxes" is the grand idea that leads to the thesis that the twelve mini-parts of a sign give vent to that sign in different ways. Such ways relate to how each of the mini signs is held to be - its delicate nature, so to speak. Wise men and women could enlarge our perceptions of the twelve star signs by help of dwads, the twelve segments of 2½° each. At least try to . . . We will look into it. First, the zodiac is an imaginary band in the heavens - from earth we may study the sun, moon, and the planets as they seemingly traverse along it (as observed from Earth) - and the zodiac is divided into twelve segments - the astrological signs. Each sign is 30 degrees long, and each sign has a key symbol. The symbol of the first sign is a ram in Western astrology, the symbol of the second sign is a bull, and so on. The symbols are formed to indicate something about what qualities that go with any such segment (star sign) and quite easy to remember. Hence, the appointed first sign in Western astrology is Aries, the Ram. Taurus the Bull comes next, and so on in a cycle. The sun traverses that cycle in about a year. Second, the word dwadashamsa - dwad, in short - is Sanskrit, and means 12-division. The reckoning and calculations of dwad (dwadashamsa) thinking rests on the idea that each sign has 12 sub-segments of the zodiac within itself, according to that "A whole (zodiac) is reflected in its parts (each sign) somehow, one way or another, or in several ways". Now there are differences of opinion as to how dwads are to sorted and arranged, in what order, and what "sign dwad" had better be the first dwad of any sign. The traditional method of dwad arrangement has that the first dwad of Scorpio is the Scorpio dwad, the first dwad of Sagittarius is the Sagittarious dwad. The first dwad of Aries is the Aries dwad, and the first dwad of Taurus is the Taurus dwad, and so on, all the way round the circle. That is a way to mete out the segments. I do not find it worth mentioning any other main ways of dividing each sign into dwads, but some such ways exist. Astrology and horoscope interpretations are due to interpreted correspondences, and there are many such correspondences in Jyotish, that is, Indian astrology. And Buddha seems to caution against astrology, to protect followers from getting fooled. One side to this is that much common astrology does not take into account one's spiritual standing or development, but seeks alignments mainly, and not so much proficiency, whereas the Gentle Middle Way is designed to help us on and up in a good way that avoids extremes and cramped beliefs. Yet astrology forms part of the ancient Buddhist tradition too, especially in Mahayana Buddhism. I for my part do not have a very cramped attitude to astrology: and suggest you inspect the matter at hand skilfully enough before you form any stiff opinions or verdicts about it. A dwad is 2½° of a sign - a dwad is a mini sign in a sign, and stacked in this order (traditionally): The first dwad of a sign is the mini version of the sign itself, and then the others follow in the order of the zodiac. So: The twelve dwads of a star sign are in the vertical column beneath the sign. And the first dwad of a sign is a dwad that corresponds to the sign itself. This is way of arranging the "mini signs", or dwads, is called the traditional way of considering the dwads, which is short for dwadasamsas ..
By way of example, the first dwad of Aries is an Aries dwad. The first dwad of Taurus is a Taurus dwad, and so on. Suppose you have got your sun in Lib(ra) 21, that is, somewhere between 20 and 21 degrees of Libra, the Scales. According to the traditional way of accessing dwads, the sun is here in Libra's Gem(ini) dwad, (see the table), and it can be written like this: ♎/♊, and understood as on the page referred to. Decans are subdivisions of each sign in the zodiac. Decans are ten degrees each, so there are three decans of each sign. The decans are found by the element thinking that goes into signs. There are four elements to be reckoned with outside Chinese and Tibetan astrology, where there are five elements. Let us stick with the traditional four elements in Babylonian and Western astrology for now. Every fourth sign is said to be imbued with the same element. Aquarius is called an air sign, and the same goes for Libra and Gemini, they are also taken to be air signs. Thus, each sun sign is partitioned into three segments of 10 degrees each. These parts of the sign are known as decans, also known as decanates. 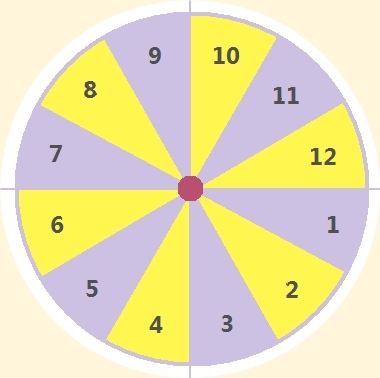 The first ten degrees are called the first decan, the second ten degrees are termed the second decan and the third ten degrees are the third decan. They are given their meanings by how we look at them! Are there inherent meanings in them too? There are several ways of "stacking" the decans. The first decan of Aquarius corresponds to Aquarius itself, since it begins the sign, and thus is "impregnated with the 'guts' of the sign" so as to make itself felt. The first decan of Aquarius should be represented by its preceding air sign, Libra, for some reason or other. And so on with the middle decan and the third decan: there are three mental ways of regarding or arranging the decans. One might say, for example, "The central decan (10-20 degrees) of Aquarius corresponds best to Aquarius itself, since it is in the centre. In the centre, that's where there is much of it." It is often like that. So how to make the best out of your star sign and its possibly relevant subdivisions? Think positively and stick to that. It often matters. 1. Find and stick to the positive qualities that are ascribed to each sign, without ignoring the backsides or problems that are there. 3. Then comes the subtler dwads, and they too are arranged in different ways in different systems. The traditional way of arranging dwads is given. Head and shoulders and torso is for making oneself known: The sign itself, the who or how. Each sign has many animals and the like to represent it, or sides to it. Guessing is the game. Belly from navel to thighs is of getting proficient: The decan tells what proficiency. The rear (behinds and legs, including feet): The subtle dwad is a later bloomer. Head: Capricorn's sea-goat, rooster or mythological monster (Makara, half crocodile). It should make sense through interpreting the sign emblems. Belly: The decan: a monster (for example Capricorn). not peaceful at all. Or rooster proficiency - What else is monstrous proficiency and rooster proficiency apart from picking fights and prancing along, you may wonder. Or what is sea-goat proficiency? Astrology books on the signs might give hints - and maybe not. It depends on how good they are. Rear, by this arrangement of decans (there are others): a Gemini - twin, tiger and so on. Proficiency of tables (not furniture). "A monster on tiger feet" can and should be upright, and much depends on that. To be good, much depends on how we make use of the subtler sides to ourselves, what outlets we eventually come up with, the "spins" on this and that. A picture amalgam of these three parts - a griffin - could help us see and remember key characteristics of each sign, decan and dwad together, and help proficiency that matters, without getting deranged through trickery and much else. A monster with tiger feet, how may it live and breed? The options are many because interpretations of fictitious beings tend to differ. We could expect something quite monstrous about him over the decades. "Monstrous in decent ways" is first, and "monstrous in some accepted way or ways" is second. - Who can tell? Those who survive at close range. A monster is hardly friendly, and will hardly be easy to find. Such are monster ways fairly often. The second decan of any sign takes on the characteristics of the next sign in the same element and hence the second decan for Aries is Leo. The third decan of any sign is the last sequential sign within the same element and so for Aries it would be Sagittarius. To study the sun's or any other planet's placement in your horoscope, taking decans and dwads into account is a set, formidable way in Indian astrology. Well equipped with strategic key words for planets, signs, decans and dwads (mini signs), you get much to consider, and then griffins function well as help to it. The griffin was looked on as a protector from evil in the ancient Persian empire. Later, it has fairly often been depicted with the head of an eagle, the body of a lion, and the wings of a dragon. In architectural decoration the griffin is usually a four-footed beast with wings and the head of a leopard or tiger with horns, or with the head and beak of an eagle. There are other uses of griffins as symbols too. So there is room for variation. We can use this and combine animals according to the scheme and see what libido-outlets could suit us, remembering "The head comes first" . . .
After some work you have a package of tentative words that may or may not be stringed (sorted and arranged in order) to serve you into old age. Such an art depend on smartness also.